(Kenora, ON) – Ogichidaa Francis Kavanaugh expressed sadness upon the news of the passing of Elder Elmer Courchene. Elder Courchene was a respected elder from the Anishinaabe Nation in Treaty#3 who shared his knowledge and teachings in his community and to regional and national organizations. “Elmer was a pipe carrier, sundancer, and travelled widely to share his knowledge with others. The Treaty#3 leadership extends our heartfelt condolences to the Courchene family and the community of Sagkeeng First Nation,” stated Ogichidaa Kavanaugh. 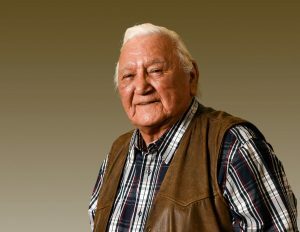 Elmer was strong in his traditional language and, as a survivor of the Fort Alexander Residential School, understood the importance of maintaining and revitalizing First Nations languages and teachings. Elder Elmer Courchene became the resident Elder at the Assembly of First Nations in 2005 and first served as Chair of the AFN Elder’s Council under National Chief Phil Fontaine. During that time, he helped advise in the negotiations that led to the historic Indian Residential Schools Settlement Agreement. The AFN Special Chief’s Assembly began this week with an acknowledgement and prayers for Elder Courchene, and a chair and blanket are in place with the Elders as a reminder of his presence and spirit.